Learn about the life and art of Megan Coyle. Learn about different collage techniques. Study Coyle’s “painting with paper” technique. Create a self-portrait collage in Coyle’s style. Have students review the brief biography of Megan Coyle. Review the artwork from her online portfolio. Discuss what students notice about her technique and style. What do all of her collages have in common? Have students review the online activities: Studying the Human Form, The Challenge of the Self Portrait, and The Collage Portrait. Have students explain how Coyle makes her collages. Have them study the specifics of her work, such as how the magazine pages are cut, what textures and colors she uses, and what distinct shapes are present. Pass out materials to make collages. Have students use mirrors to help them create their self-portraits. Instruct students to start with a sketch before collaging down magazine strips. During class discussion, did students contribute to analyzing Megan Coyle’s collage technique and style? 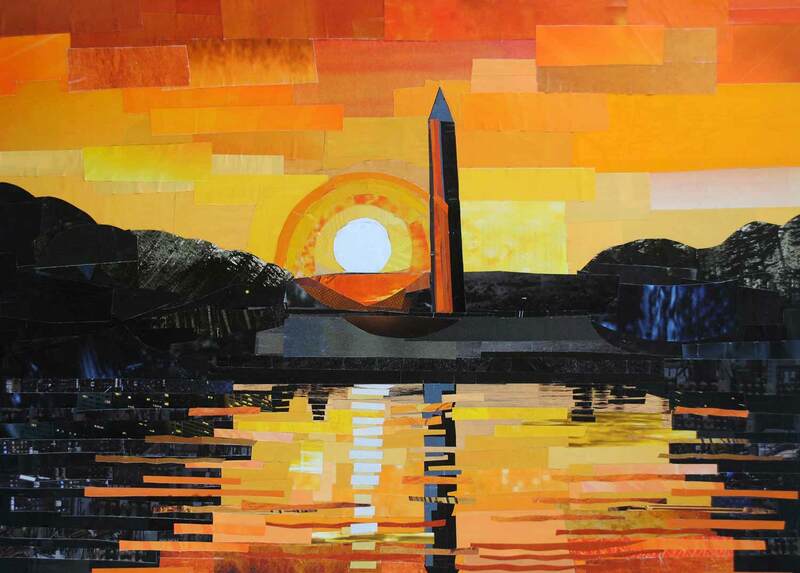 Did the student complete a paper collage with Megan Coyle’s “painting with paper” technique? Is the self-portrait an accurate representation of the student?